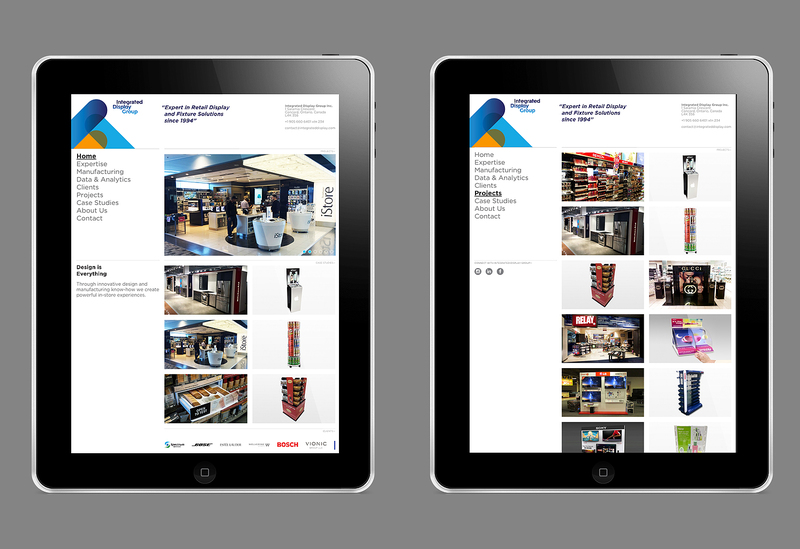 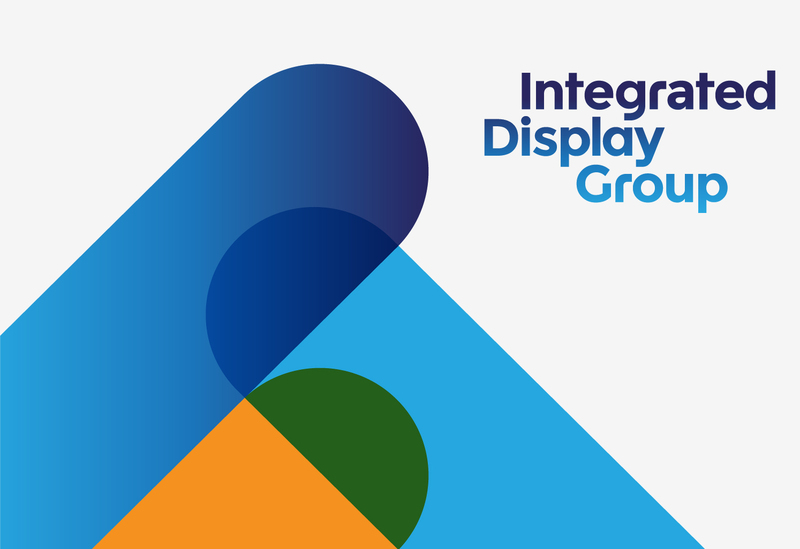 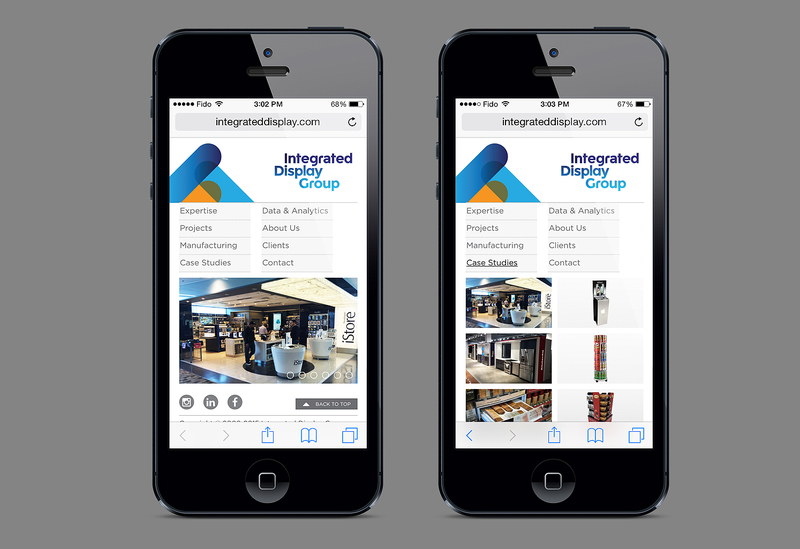 Integrated Display Group is a leading-edge international consultancy that creates brilliant displays, fixtures and retail environments. 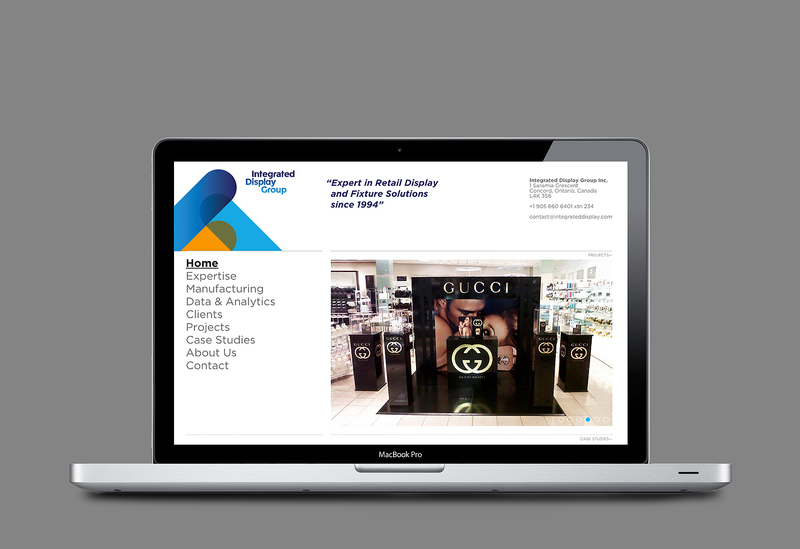 Incorporating innovation, intelligence, and shopper-marketing insights, IDG partners with many of the world’s leading retail brands including Revlon, Sony, Estée Lauder, and Bose, to successfully meet the ever-changing retail needs. 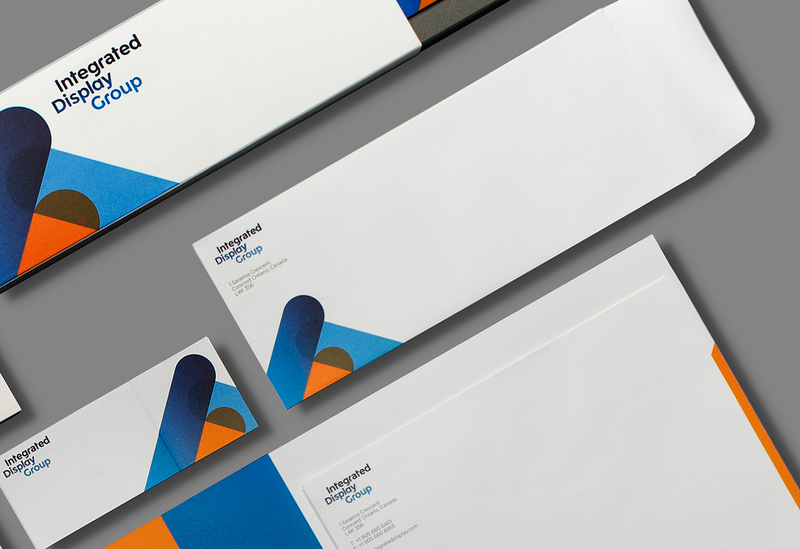 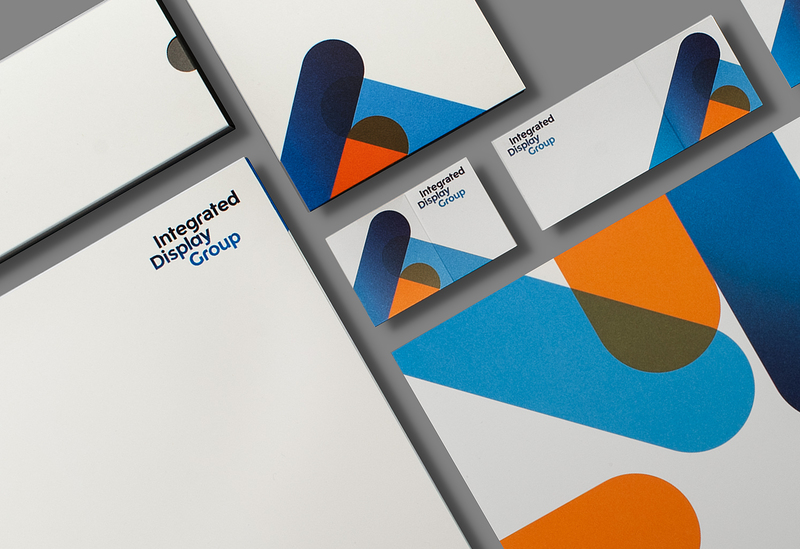 With the continued growth of the company and the completion of IDG’s new headquarters, typotherapy was commissioned to reposition the organization as an industry leader, beginning with a redesign of their brand identity. 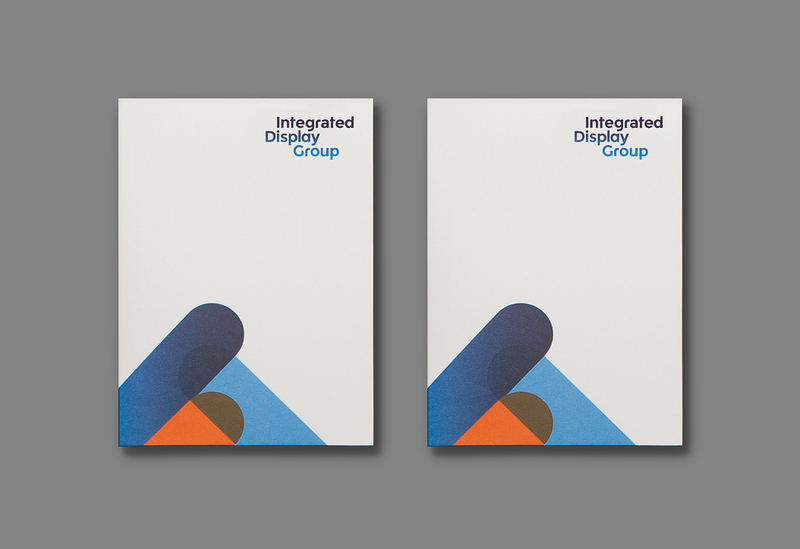 Moving away from acronyms, we developed an iconic logotype and an overlapping marque with a unique personality that represents the essence of IDG and it’s mission to create engaging and memorable retail experiences and retail environments. 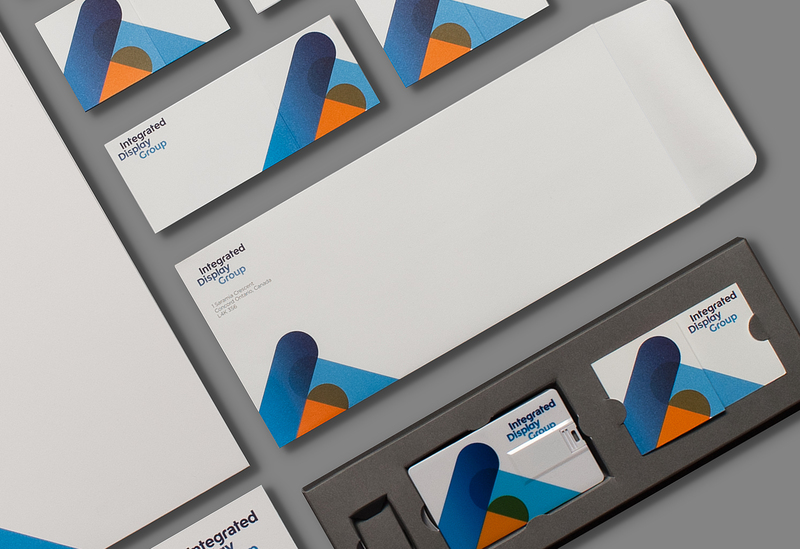 In tandem with the new logo design, we created a new website, full stationery set including foldable business cards, letterhead and custom presentation folders, along with an elegant slip covered promotional package that reveals a flash drive and business card to hand out to prospective clients. 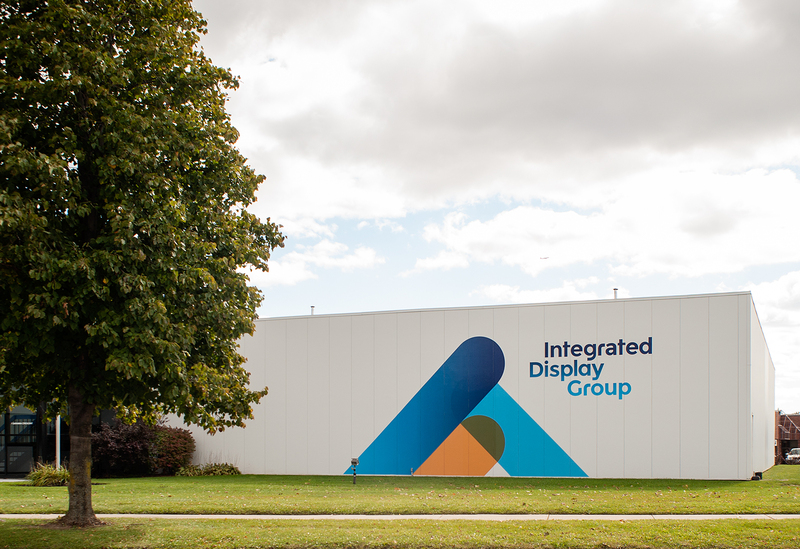 We also created a sixteen foot wall graphic of the new identity along with an illuminated ground mounted sign at the entrance of their new headquarters. 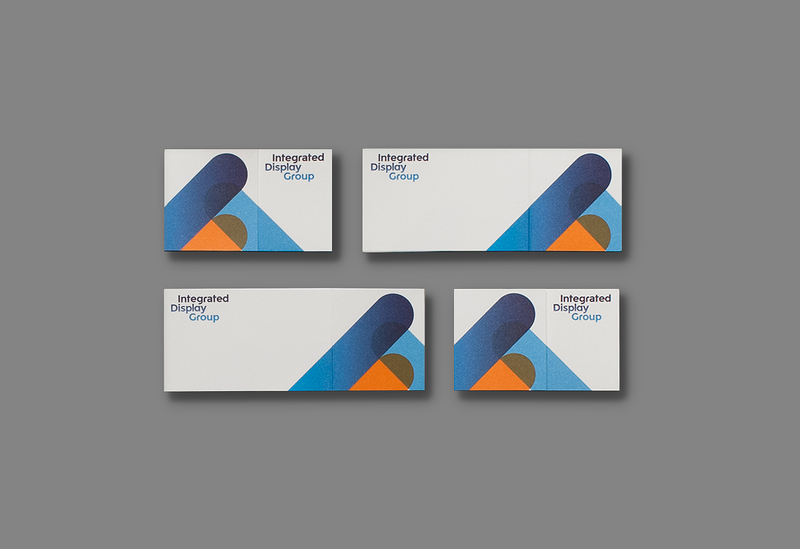 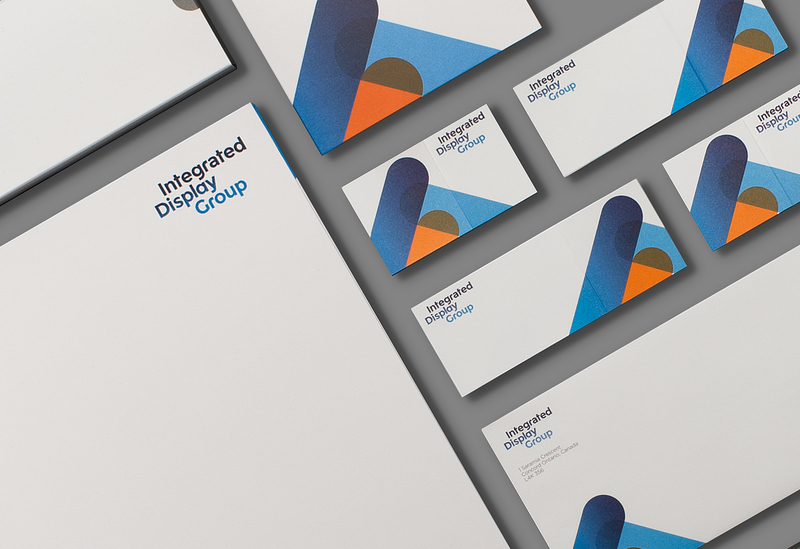 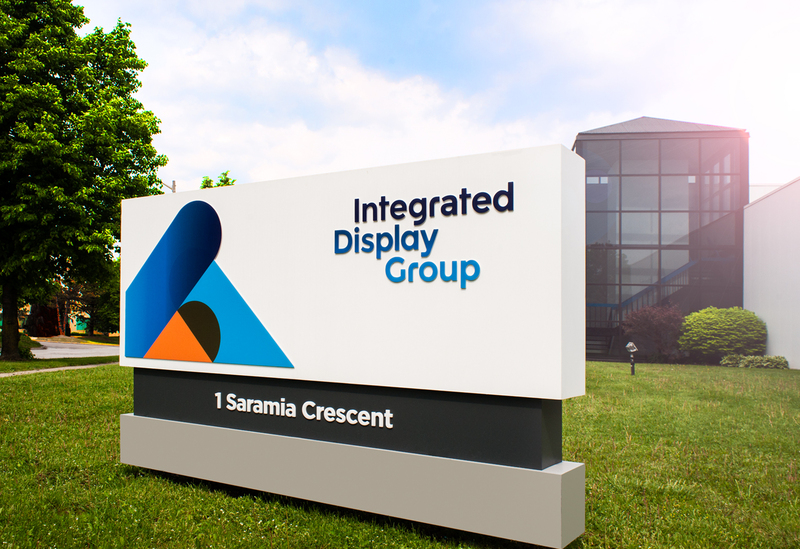 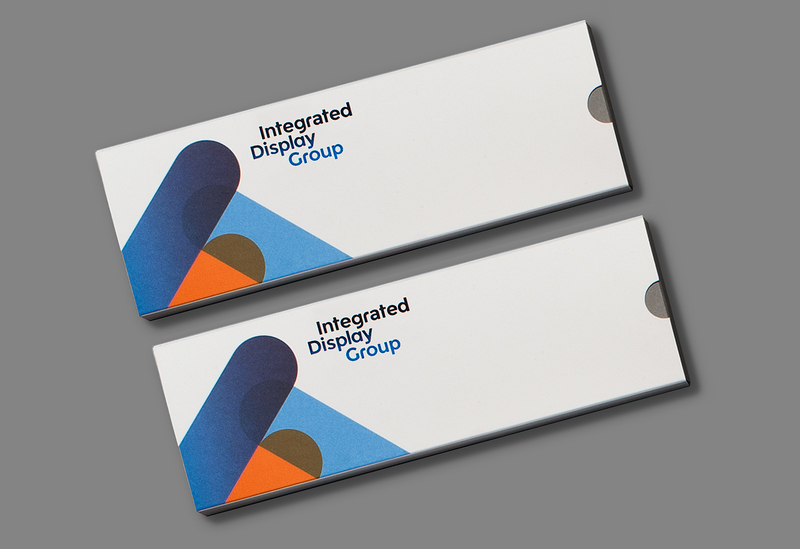 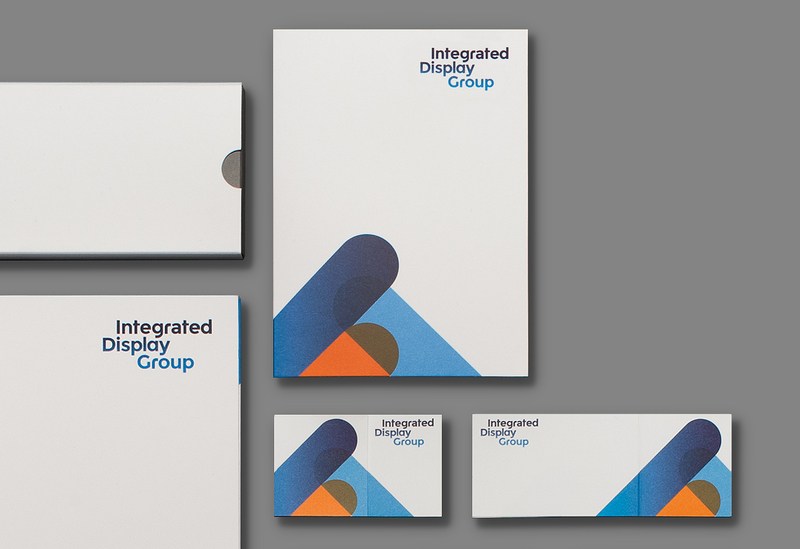 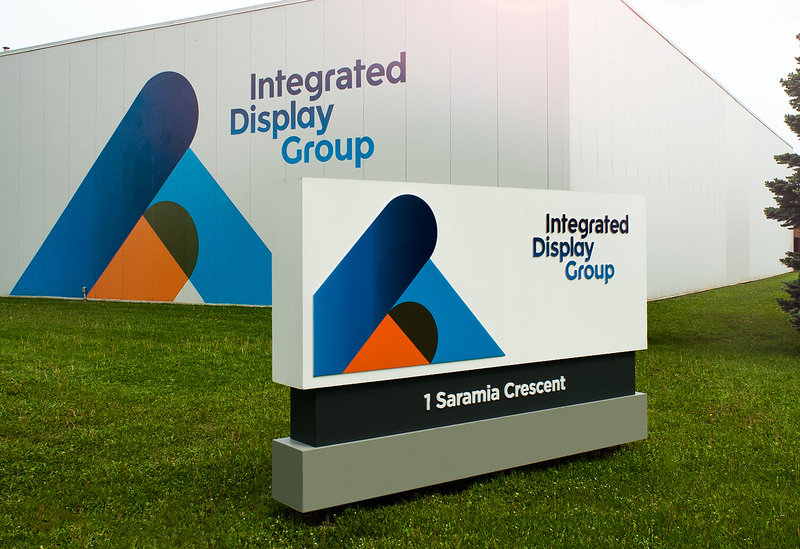 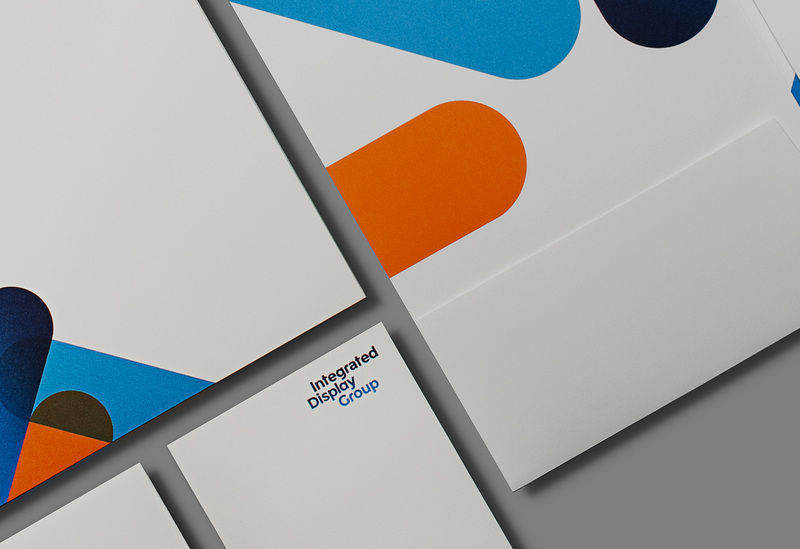 Integrated Display Group’s new identity was well received and as a result, typotherapy was also commissioned to design new identities for their associated companies – IDG Millwork and IDG Sensindata; to be in sync with—and as an extension of IDG’s new brand identity.